Tobi Goldfus, LCSW-C, BCD, is a therapist, author, and international teacher and speaker. 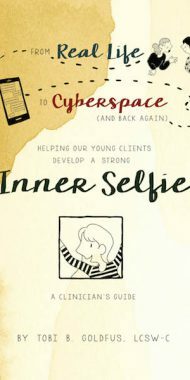 Her book “From Real Life to Cyberspace and Back Again: Helping Our Young Clients Develop a Strong Inner Selfie” (2017) is a subject she is passionate about. She also focuses on the online traumatic experiences young people can have, providing assessment tools, hypnotherapy and somatic experiencing techniques to heal and create a positive balance between online and real life. She is a contributor to the recently published “Ericksonian Therapy Now: The Master Class with Jeffrey K. Zeig, Ph.d (2017)“. Her graduate and post-graduate training have included family and systems therapy, ego state and somatic experiencing, and extensive Ericksonian hypnotherapy models. 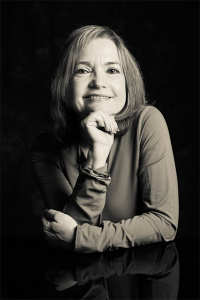 She is a member of ASCH (American Society of Clinical Hypnosis), ISH (International Society of Hypnosis), NASW (National Association of Social Workers) and a Board Certified Diplomat (BCD). Tobi is in private practice in Germantown, Maryland. We are excited to announce that Tobi’s book is being featured as a part of ContinuingEdCourses.Net. ContinuingEdCourses.Net is approved by the American Psychological Association (APA) to sponsor continuing education for psychologists. ContinuingEdCourses.Net, provider #1107, is approved to offer social work continuing education by the Association of Social Work Boards (ASWB) Approved Continuing Education (ACE) program. ContinuingEdCourses.Net has been approved by the National Board for Certified Counselors (NBCC) as an Approved Continuing Education Provider (ACEP), ACEP #6323. ContinuingEdCourses.Net is recognized by the New York State Education Department’s State Board for Social Work (NYSED-SBSW) as an approved provider of continuing education for licensed social workers #SW-0561.